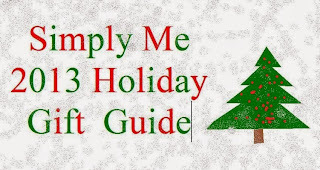 My Holiday gift guide is soon coming to an end, but don't be sad because I still have some amazing items to talk about! I knew from the start of my gift guide that I would be reviewing the Zike Z100 and I was beyond excited and couldn't wait to tell you all about it! For those of you who never heard of Zike before be prepared to be amazed! The Zike Z100 has been described as flying at ground level and I can safely say I agree with the description. The Zike Z100 combines fun with working out to give you the ultimate experience! Before I start my review I wanted to cover some of the features. Well I guess I should start off by telling you we LOVE it! This gift is for Brandon Jr so you will see my sister using it in the photos. She is like a big kid :). First off we were impressed with how easy assemble was. I wanted to do it during the day when Binky was at school so that meant no help from hubby. My sister and I were a bit nervous, but after seeing it was partially put together we knew that we would be fine. We had to attach the handle bar part and the peddles. As we were putting it together we realized we would have to drive to my dads to get the tires blown up. So this was the 2nd test weight, it was light enough for me to pick up and put in the back of my car. I don't think Brandon Jr will be able to pick up like this, but I was able to. I also love that it fold ups making it easy for me to transport and fit into my car. Okay I'm sure you can see how awesome it looks! By the way this is only 1 of the colors it comes in :). And Zike also has other WingFlyers just like the Z100! The other ones can hold more weight so they would be idea for a bigger or older person. Next was the test ride. My sister was beyond amazed! She said it was like riding a bike and scooter at the same time. And then she claimed it felt like a stair climber with actual wheels. I made her drive by me a few times so I could get some photos. She couldn't believe how nicely it turned and how easy it was to handle. I asked her how she thought Brandon Jr would handle it, she told me once he got use to marching and not peddling he would handle it great! She claimed it took a moment or two to get use to the new motion. I also asked how easily the handle break was to use and she demonstrated by slamming on the breaks and yelling works GREAT lol. After about 15 minutes I told her it was time to hide it before Binky got home from school. This was ignored as she flew by me yet again. She claimed "Wow I should get one of these I can't believe what a great work out it is." Again I told her time to put it away. "Seriously I could ride this all day..."
I informed her no she couldn't it was time to put it away. After a few more laps she finally agreed to get off and she helped me hide it in my spare bedroom. I asked for her help to write the review and she told me to talk about how smoothly it rode and that it was so easy to handle. She then told me to talk about how its great for a work-out and that little kids will not only love playing with it, but they will also be moving around and staying fit. She agreed with the site and said it was def. like flying at ground level. She just told me to mention it did take her a moment or two to get use to marching, but once she got the hang of it she was fine.